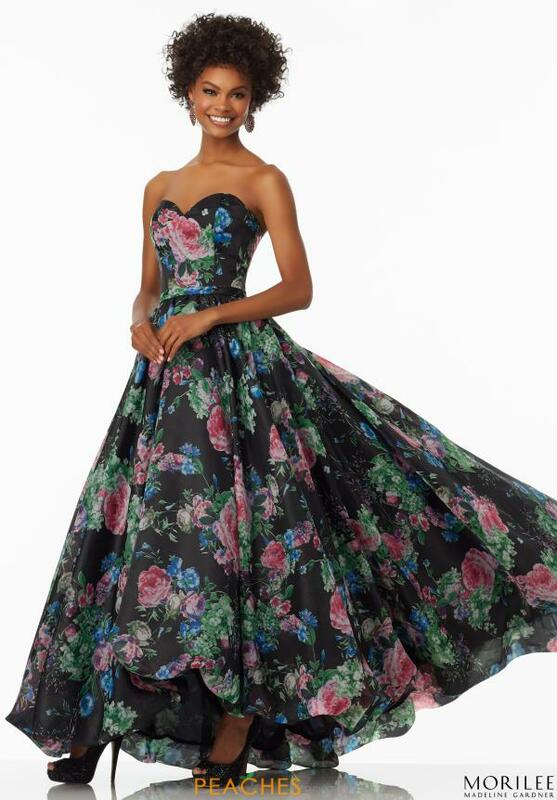 Ultra chic Morilee prom dress style 99001 is made in a gorgeous floral printed organza and features a classic sweetheart neckline. The long and full skirt showcases a fun and unique high low bubble hem to wow the crowd. 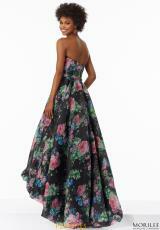 The waist is cinched with a thin organza printed belt to give you a flattering silhouette. Find this and more at Peaches Boutique.